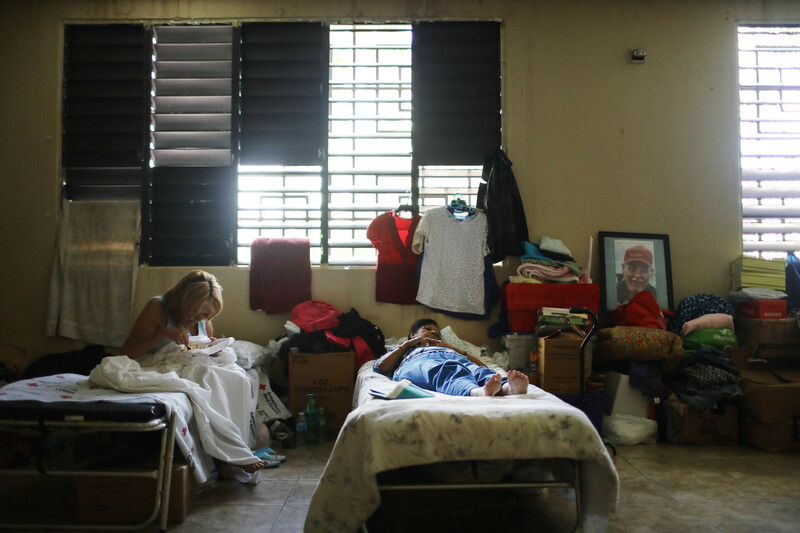 Two women rest in a shelter for Hurricane Maria victims in in Toa Baja, Puerto Rico, on December 25th, 2017. 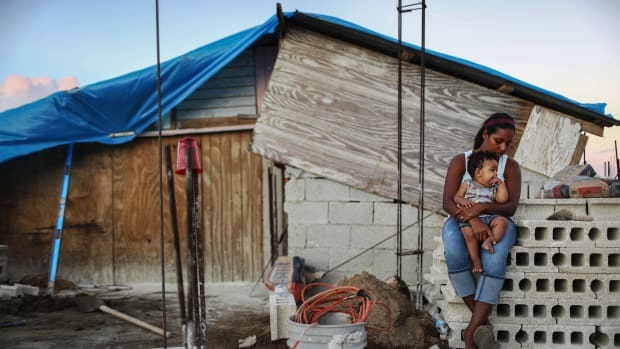 Nearly eight months after Hurricane Maria ravaged Puerto Rico and the island republic of Dominica, an explosive study, published Tuesday in the New England Journal of Medicine, estimates that at least 4,645 people died due to the effects of Maria and its aftermath, from direct fatalities to storm-related migration, to catastrophic infrastructure failures. That figure makes Maria the deadliest storm in modern American history—and it&apos;s a number that "is likely to be an underestimate because of survivor bias," according to the study authors, a team of Harvard University researchers; a full third of those deaths, they write, "[can be] attributed to delayed or interrupted health care." But at the moment, the official death toll estimated by the United States government stands at just 64. The Harvard study suggests the true death toll was something like 73 times more than that—and that discrepancy tells us a lot about how the Trump administration views the role of government. Nine days after the respective hurricanes, [the Federal Emergency Management Agency] had approved $141.8 million in individual assistance to Harvey victims, versus just $6.2 million for Maria victims. Nine days after Harvey, the federal government had 30,000 personnel in the Houston region, compared with 10,000 at the same point after Maria. It took just 10 days for FEMA to approve permanent disaster work for Texas, compared with 43 days for Puerto Rico. Even more damning than the government&apos;s sluggish response, it&apos;s post-recovery figures are demonstrably flawed. In November of 2017, BuzzFeed News found records of at least 911 Puerto Ricans cremated after purportedly dying of "natural causes" in the immediate aftermath of Maria; funerary officials in a handful of towns even told BuzzFeed that "dozens" of post-Maria deaths were "never included" in the government count. Despite this, Washington officials continue to maintain that the federal government&apos;s response to the storm was exemplary. Taken alongside the reports from Politico and BuzzFeed, the Harvard study looms darkly over President Donald Trump&apos;s post-Maria lamentations. "Every death is a horror," Trump told Puerto Ricans during a visit there in October after the storm system finally disappeared, "but if you look at a real catastrophe like [Hurricane] Katrina and you look at the tremendous—hundreds and hundreds of people that died—and you look at what happened here ... you can be very proud. 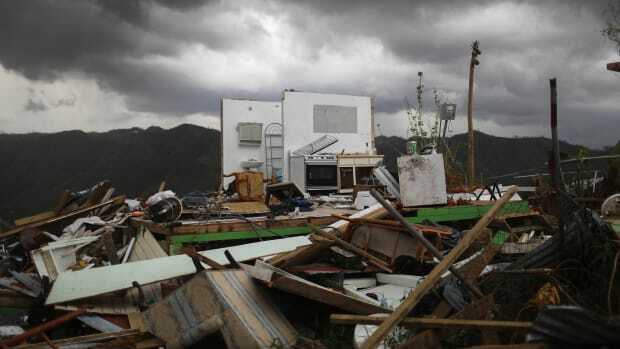 Everybody watching can really be very proud of what&apos;s taken place in Puerto Rico." 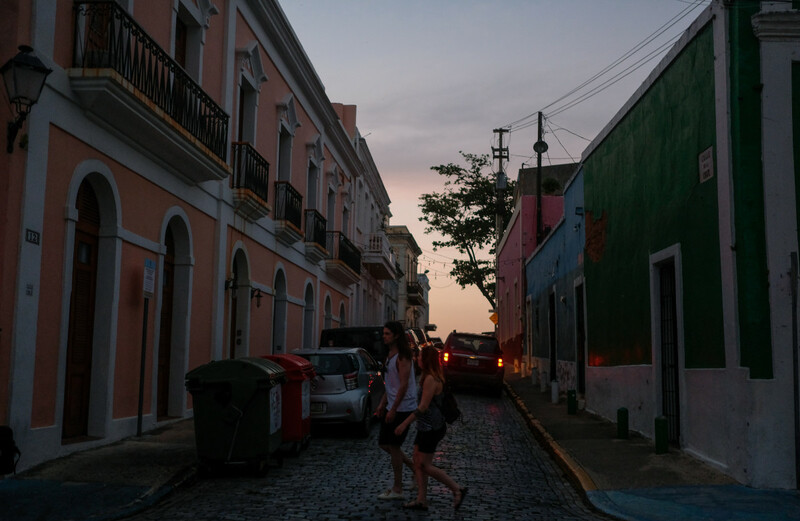 Tourists walk in Old San Juan, Puerto Rico, on April 18th, 2018. This is, in light of the Harvard study, simply not true. Those 4,000-plus deaths constitute more than double the 1,833 people who perished in Hurricane Katrina in 2005. 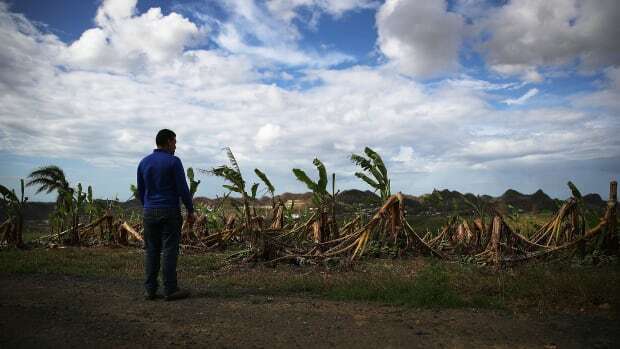 Perhaps it shouldn&apos;t come as a surprise that the White House hasn&apos;t expressed much interest in helping Puerto Rico, a place where, as Quartz reported in the aftermath of Maria, a high cost of living and a median household income of $19,350 left some 40 percent of the population below the U.S. poverty level. (To keep the Houston comparison going, that city&apos;s median household income is somewhere around $60,000.) Since taking office, Trump has fallen into the small-government mantra of the conservative ideologues who have stuck by him, attacking Obamacare, searching for ways to dismantle the social safety net, and facilitating macro-level cuts to the federal bureaucracy. The message behind these rapacious policies is clear: that America&apos;s poor are best left to fend for themselves. 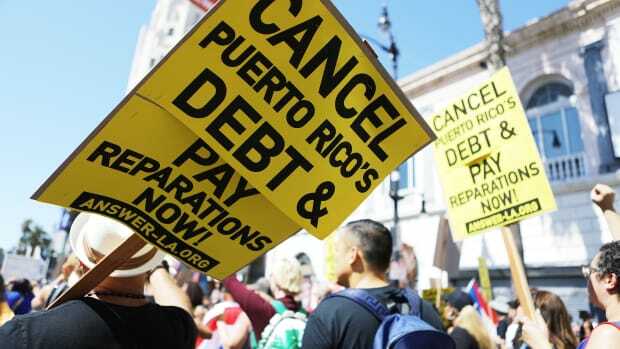 And that&apos;s the same message Trump laid at the feet of Puerto Rican political leaders before Maria had even fully subsided, proclaiming on Twitter that they "want everything to be done for them when it should be a community effort." There&apos;s a warped logic to the White House&apos;s approach to Puerto Rico: Despite the fact that economic conservatives love to rail against the long-term consequences of government regulation, the idea that second- or third-order deaths from negative externalities are the government&apos;s responsibility to prevent seems inconceivable to them. Of course the official government death toll was 64. While past presidents have seen government as a force for public good, Trump sees it as a business—and emergency response is not a profitable line of work.